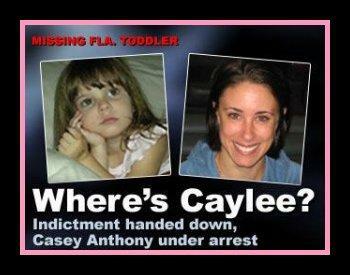 Prosecutors announced that Casey Anthony was indicted and arrested on charges that she killed her daughter Caylee Tuesday night. Investigators had previously questioned why Anthony 22, didn't contact authorities for a month after her daughters June disappearance. Casey Anthony's father George testified behind closed doors to the grand jury along with a detective and an FBI agent.